But last Spring, I watched my first episode of South Park. I heard about how South Park made fun of Facebook and I had to check it out. 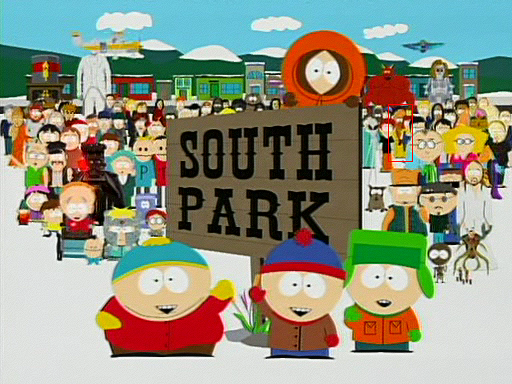 So, I’ve started watching more and more episodes of South Park on the website and I’m so addicted it’s not funny. This addiction is almost as serious as my drama addiction- perhaps even worse. It’s just so… funny! I spent almost all of yesterday watching episodes of South Park. Even though I really enjoy South Park (as well as a huge chunk of America), I wonder why some people find South Park so offensive. Yes, some of the things that are said or acted out in South Park are rude and may be offensive to certain groups of people, but… that doesn’t stop it from being funny. It’s not like South Park was created to offend people on purpose, rather it was made to poke fun at certain events and tone down the seriousness of terrible things we face in life. If anything, I find that South Park lightens things up! Honestly, with the amounts of South Park episodes I’ve been watching, I’ve turned into a South Park beast. As if that wasn’t enough, yesterday in school, I could not concentrate on anything! I zoned out countless times just remembering Guang Xi saying to Xiao Le, “Ba Ba yao qu shang ban.” And then Xiao Le asked Guang Xi to kiss Mu Cheng goodbye… I don’t know why I kept replaying that moment in my head. On top of that, I kept thinking about the episode 16 preview~! The part of the preview that stuck was the last part when Guang Xi carries Mu Cheng onto the bed and says, “Six years ago, this was how you treated me and that was how we made Xiao Le.” ROFLOL don’t be weirded out but it’s true, that was what I was thinking about instead of paying attention to the math test review and the lesson on feral children and whatnot. Maybe it’s because I watched the preview too many times… Well, I would laugh every time I thought about that scene…. 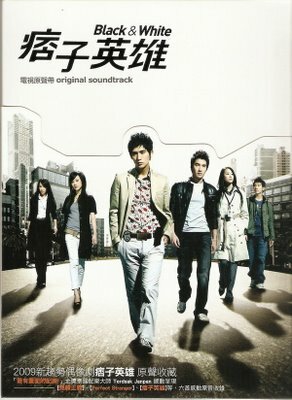 Finally, I’ve caught up on 下一站，幸福 Autumn’s Concerto! WAHAHA~ I started this drama about a week ago and the air was up to episode 9. During the past few days, I’ve watched episodes 1-9 and am prepared for 10 tomorrow! This drama has been the best Taiwanese drama I’ve watched since FATED TO LOVE YOU. I think these two dramas are equally good because they both have a special story line to them. In FTLY, I really liked how the drama made so many references to “fate”, which was in the title. Plus, the drama took a different path by making it so that Cun Xi and Xin Yi slept together by pure chance and she became pregnant by pure fate. Usually, dramas do not even make the girl lead pregnant, which I always found to be unrealistic, even though she would do you-know-what. In Autumn’s Concerto, for those of you who do not know, the story begins with a cocky law student, Ren Guang Xi, and an unfortunate bento girl, Liang Mu Cheng. The two are a very unlikely couple (like in every other drama) but a romance begins to develop between the two as Guang Xi begins to realize that Mu Cheng is a very hardworking and beautiful person. It gets to the point where the cocky Guang Xi starts to go under a personality transformation. But, tragedy strikes when Guang Xi finds out that he has a brain tumor. The tumor is so big and the surgery is so risky that Guang Xi survives the surgery with no memory of his past. This is exactly what Guang Xi’s mother wanted: for Guang Xi to forget Mu Cheng. On the other hand, Mu Cheng, with no other choice but to keep her promise to Guang Xi’s mom to leave as soon as Guang Xi is in surgery, reluctantly sets off with her good friend, Tuo Ye, to Hua Tian Village. We soon find out that Mu Cheng is 2 weeks pregnant with Guang Xi’s baby. The drama then fast forwards 6 years to when Mu Cheng is raising Xiao Le in Hua Tian Village with help from Tuo Ye. As for Guang Xi, he is now a successful lawyer who is engaged to the beautiful doctor, He Yi Qian. The sad part for me about this drama is that Guang Xi is unable to remember Mu Cheng completely… and also the fact that in episode 8, Xiao Le kept calling him “dad”, but Guang Xi was clueless that the kid was really his son. It’s also annoying how I want to hate Yi Qian, but I just can’t. In most dramas, the “other” girl who gets into the way of the ideal couple pisses you off, ya know? Like in FTLY, I couldn’t help but hate Anna, and in My Queen, I hated Han Jia Jia. In Autumn’s Concerto, Yi Qian is that other girl who is in the way. But, she doesn’t seem to be doing anything to keep Guang Xi from the past. In fact, she encourages him to remember his old self! This makes me confused because Guang Xi and Yi Qian are a lovely couple, but the ones I want together are Guang Xi and Mu Cheng (and I guess, Xiao Le). Guang Xi and Mu Cheng’s first kiss at the rinks. Back in early September, I promised myself that I would not watch any dramas until my SAT’s were over. Yea, that did not get very far. I was doing good until yesterday, I swear! I restrained from any drama sites and any entertainment news to help out with my withdrawal. But, recently, my sister kept talking to me about the drama she was watching, 痞子英雄 Black and White. 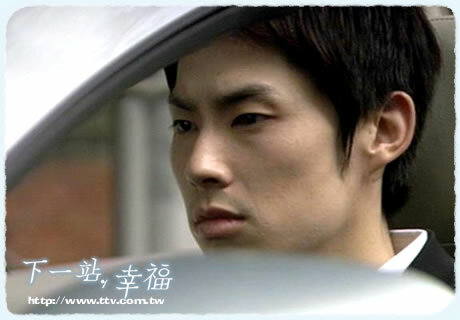 (Anson from FTLY is in here as a triad member!) Hu hu hu! She kept nagging me to watch it because it was so good, and suspenseful, and blah blah blah. That was when I got thinking. So I was sucked back onto mysoju (by some unknown force!) and browsed around for new dramas. The one that caught my attention was 下一站，幸福 Autumn’s Concerto. I have no idea as to why I was attracted to this drama, but I was. I read the summary and found that this drama was… different. After 45 minutes or so of watching 下一站，幸福, I began to feel the symptoms of drama addiction kick in. It was absolutely horrible! OMGzZZzz I longed for more time to watch the drama, I craved for days off from school to watch it nonstop! Even now, I do not know why I am here writing this blog. You know what I should be doing? WATCHING 下一站，幸福! MWAHAHAHA!!!!!!!!! See? Dramas are evil. Don’t watch them because you’ll just get sucked into a drama vortex and you won’t find a way out. Eventually, you’ll end up like me and have no life (or I should say, one that only consists of dramas). A few minutes ago, I just finished my first ever episode of a really amazing show: 超级星光大道 Chaoji Xing Guang Da Dao. Now, I knew this show was a hit in Taiwan, just like how American Idol is here in America. But I never expected it to be better than American Idol! For those of you who don’t know, 超级星光大道 is a Taiwanese singing competition show. Just imagine American Idol with all Chinese people singing to compete for money and fame. Yep. That’s the show. After awhile, I became tired of American Idol (I’d say by the 2nd episode? I know, it was still auditions and I was bored!). Well, with 超级星光大道, it’s different. Why, you ask? They cut out the audition crap and get right to the singing. Plus, the challenges are sooo much better. The one I just watched had the competitors sing and act at the same time (I guess it’s kind of like a musical??? hahah). It was just really fun to watch… On another note, Simon Cowell became a cranky nuisance after a few episodes. It just wasn’t fun to watch him criticize anymore. The judges on 超级星光大道 have so much character and make statements that are actually useful (and true!). As for the contestants, may I just say that these people competing have talent. They aren’t people who sing bad and still want to make it big. Or, they aren’t on the show because they look pretty *cough cough Kellie Pickler*.